For those who ride, the machines we ride are an extension of our personality. There is perhaps no greater expression of individuality than to ride a machine that exudes the type of character a Confederate Motorcycle machine does. On Friday, December 2nd, 2011, Confederate Motors Inc. ofBirmingham,Alabama unveiled their latest creation: the third generation Hellcat. The Hellcat is named so after the American F6F Hellcat fighter plane from WWII. 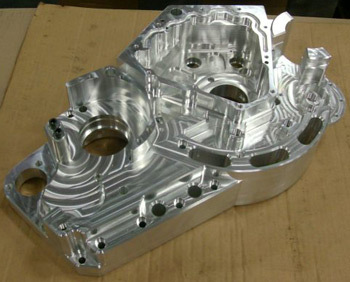 Confederate Motorcycles manufactures hand crafted machines that make no excuses about style or performance and proudly brandish the “American made” slogan. Having built motorcycles for 21 years, this new Hellcat brings together everything that is great about Confederate Motorcycles while creating a machine that is evolutionary in nature. 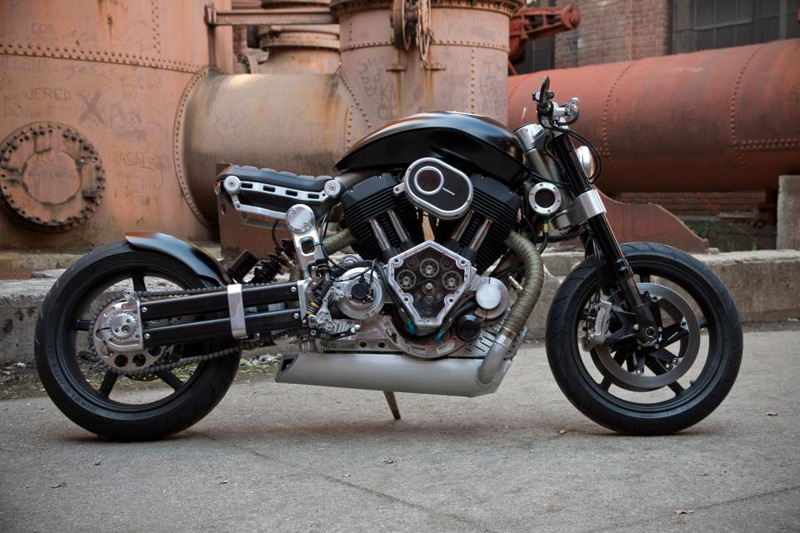 Confederate Motors founder Matthew Chambers calls the X132 Hellcat the “motorcycle we always wanted to make.”Powered by a machined billet aluminum engine block that produces 132 hp and 150 ft. lb. 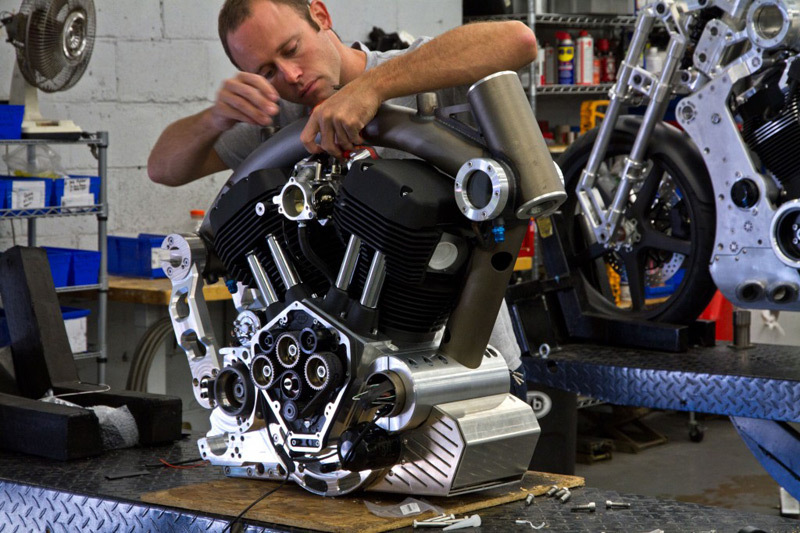 of torque, this engine was developed in partnership with legendary engine builder S&S Cycle. The entire powertrain is a tried and true system with extensive drag racing experience true to American form. Ed Jacobs is easily one of the most respectable motorcycle designers of our time. Before joining Confederate Motorcycles, Ed spent 11 months living off the grid in a remote part ofIndia. He credits his time in the country with his first motorcycle experiences. With the new Hellcat being his latest and greatest creation, we eagerly await what comes next. 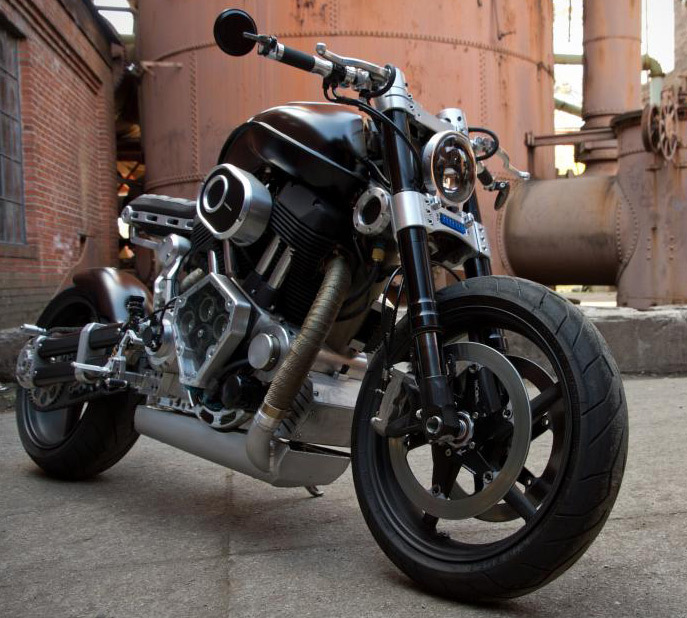 Confederate Motorcycles calls the X132 Hellcat a machine of heirloom quality. A modern day machine crafted to last an owner’s lifetime; to be passed on from one generation to the next. 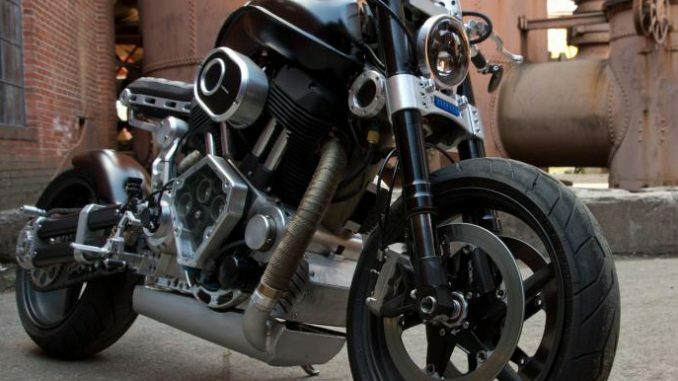 It may be a concept that has all but disappeared from our society, but this approach to building bikes is what makes Confederate Motorcycles a company to be applauded and the X132 Hellcat a machine to be loved. 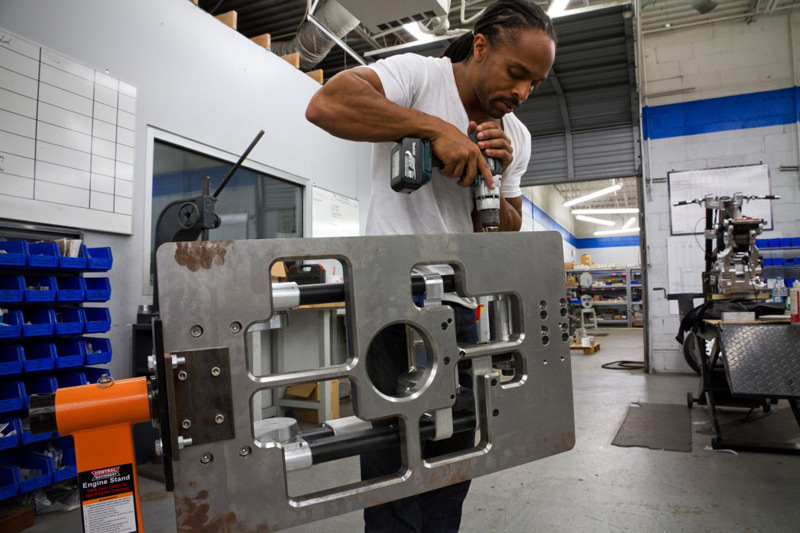 This current generation Hellcat is hand built in Alabamaand will begin production at the rate of two units per week in January 2012 with production set to increase to four units per week in April 2012. Currently selling for US $45,000, the X132 Hellcat will increase in price to US $49,500 on March 1st, 2012. Photographs courtesy of Confederate Motors Inc.